THE MEMO LEAVES US FOR FORBES! 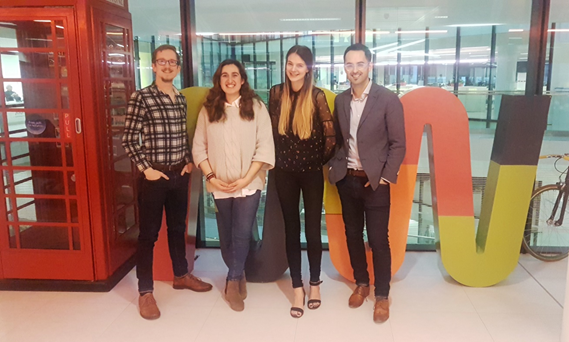 In an exciting development, The Memo, a business and lifestyle publication which has been operating from Wayra UK’s academy, has joined the power house that is Forbes Media. The move is a key part of Forbes’ plans to expand in Europe and sees The Memo as its “first full-fledged European Editorial Team”. Since its inception in April 2015, The Memo has become an authority on news about the future of innovation, culture and business. The Memo’s experienced and accomplished team has broken countless cutting-edge stories, established a solid, professional customer base and won several industry awards including Best Site for Specialist Journalism at the Online Media Awards. Farewell our friends we’ll miss you and if you ever want to show off your new swanky offices you know where we are!